Apple released the fourth beta version of its desktop operating system. OS X 10.11.2 El Capitan beta 4 is now available to developers and public beta testers for download through the Mac App Store. 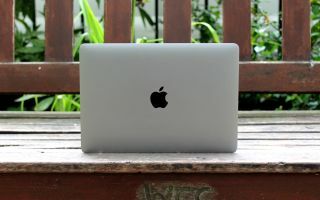 Apple did not provide details of specific changes in its latest release, likely focusing on under-the-hood tweaks to fix bugs, update security and improve performance. OS X 10.11.1 introduced issues that have been well documented in Apple's support forums, such as slow device performance, broken keychain access, freezes and problems with the Mail app. Hopefully, these issues will get resolved when OS X 10.11.2 is released to the public after successful beta testing. The beta is said to support Wi-Fi calling with partner carrier AT&T's NumberSync feature when used with iOS 9.2 beta. This gives Apple devices the same phone number regardless of which device the call was originated from. In previous releases, Apple asked users to test the performance of graphics, Wi-Fi, USB, and networking. Additionally, Apple also asked users to observe performance of the Mail, Calendar, Notes, Photos and Spotlight apps on their Mac. The latest beta arrives just a week after Apple began seeding the third beta and a month since releasing OS X 10.11.1 to Mac owners. The release of OS X 10.11.1 introduced more than 150 new emoji to users, fixed compatibility with Office 2016 and resolved issues with Apple's Mail app. If you're part of Apple's developer or public beta program, Apple recommends that you backup your Mac before you check the Mac App Store to download the latest update. We'll continue to update this post once we get reports of new changes introduced with the fourth beta of OS X 10.11.2.